Breakfast burritos are one of the most popular breakfast foods because they are quick and easy to make, and perfect for those eating-on-the-go mornings. But, having scrambled eggs wrapped in a flour tortilla can get old. So here are some fresh ideas for making quick and easy breakfast burritos using leftovers or other ingredients you probably have on hand. An easy version is to take a hot dog or two, some mustard and ketchup and wrap them up in a warm tortilla. You can add cheese or chili if you prefer. Yes, they are yummy. I've been informed they are called “Torts”. Take leftover spaghetti sauce and wrap it in a warm tortilla. You could also wrap leftover spaghetti noodles with the sauce mixed in, in a tortilla. When you have leftover chili, warm a little in the microwave, spread in a tortilla, wrap and go. Use up those leftover baked potatoes by dicing and warming in the microwave. 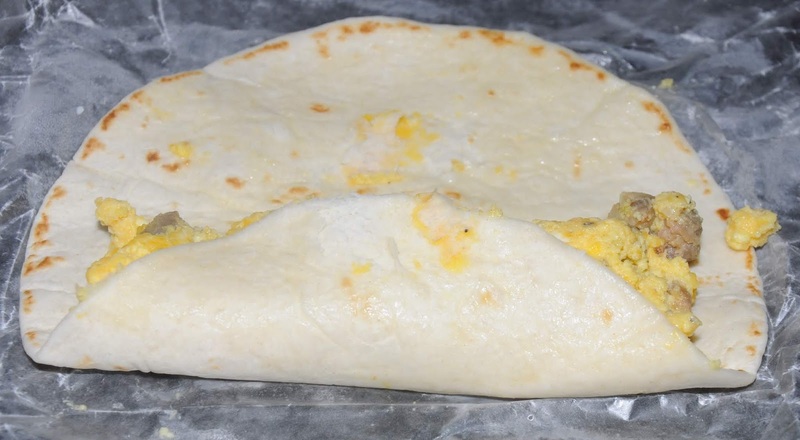 Add some shredded cheese and wrap in a warmed flour tortilla. If you have some chopped onion or chives, you can add that for flavor. Also feel free to season the potatoes while they are warming with your favorite spices. Warm a drained can of pinto beans, black beans or refried beans in the microwave (remove from can first). 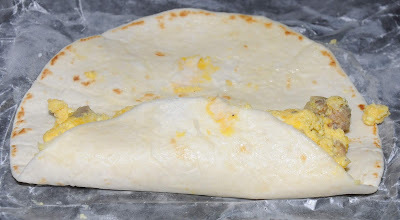 Warm a flour tortilla on the stove, then place some beans in the tortilla with some cheese, wrap and go. Beans are high in fiber and protein, so this makes for a great way to start your day. Okay, this probably should be called a veggie wrap! If you have leftover salad or chopped veggies, wrap them in a flour tortilla, with a little of your favorite dressing and go. We’ve had leftover steak a couple of times so we cut it into strips, wrapped in a flour tortilla and eaten cold; tastes great! The best time to cut the steak is when it’s still warm and tender. Add whatever veggies you like and you’ve got a yummy twist to the traditional breakfast burrito. As you can see, with a little imagination and a flour tortilla, you can create yummy, quick and easy burritos for breakfast, or any time!